For fish lovers or those on a diet. If you luv the colour green, You will luv this curry which is easy to make & yummy to the mouth. It doesn't even take 1/2 hour to prepare. Combine all the stared ingredients in a food processor or blender & make a fine batter like paste with just little water. In a wok heat oil, fry the cumin & coriander seed until light golden. Pour the green paste & fry for 2-3 min . beat the yoghurt & add it to the paste, stir the gravy so the yoghurt does not curdle. Put the Fish fillet side by side & cook over medium heat until fish is cooked & oil starts to float on top. Serve with hot rice & lentil. * the end gravy should be nice & creamy not watery.After adding the fish never stir the curry too hard or the fish will start to break. It's 14 curry leave & 1/2 c yoghurt. * ingrediants r: Coriander leaves, g chili, curry leaves, almonds, coconut, ginger & garlic paste & water. Thanks Christy. Trust me fish lovers will love it. 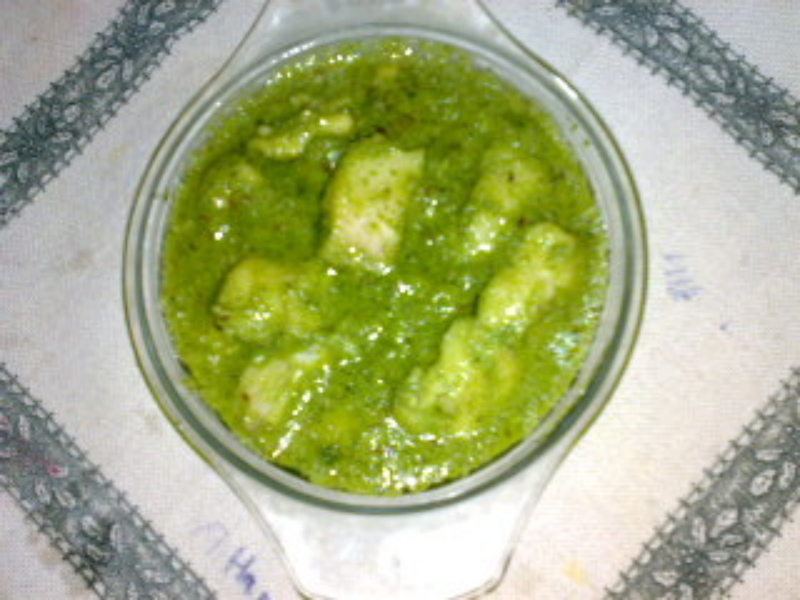 Hi Rabz,green fish is a nice and easy to do recipe for all fish-lovers.